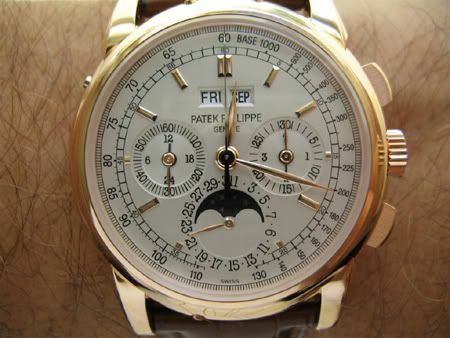 David, a visitor of the Patek Philippe forum at WatchRap.com, is the proud new owner of this magnificent Patek Philippe 5970 in pink gold. Or as he claims, a proud new pink papa! 🙂 Although I don’t like hairy wrists other than my own, here is a shot of his new pink 5970!